Star Wars Jedi: Fallen Order was finally revealed today. There was a lot of information thrown out and we've gathered the most important facts for you. Here's everything you need to know about Star Wars Jedi: Fallen Order. 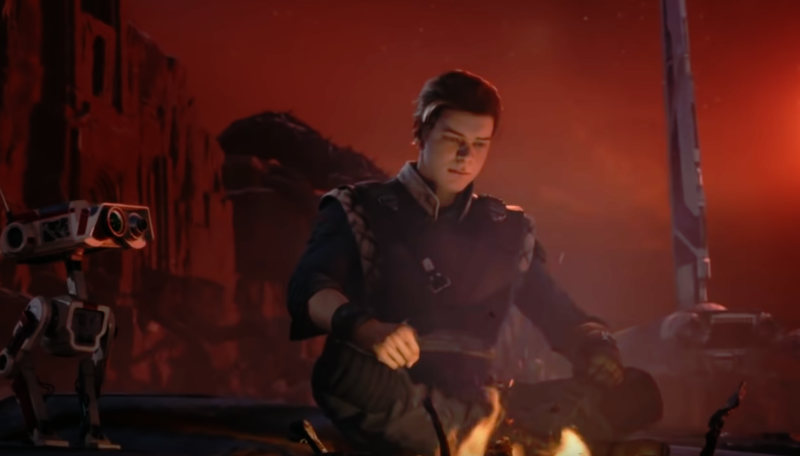 Star Wars Jedi: Fallen Order takes place after the events of Star Wars Episode III: Revenge of the Sith. You take control of an inexperienced Jedi student named Cal Kestis. After Order 66 killed most of the Jedi Cal goes into hiding. Cal is played by Cameron Monaghan from Shameless and Gotham. Cameron has conveyed that Cal will be someone people can get attached to. It's likely we will be playing a traditional good guy. However, everyone sees him at the bad guy since the Empire has labeled all Jedi enemies. We see that Cal is forced to exposed himself when he uses his powers to save a coworker in a scrap yard. Forcing the young Jedi to flee and fight for his life. 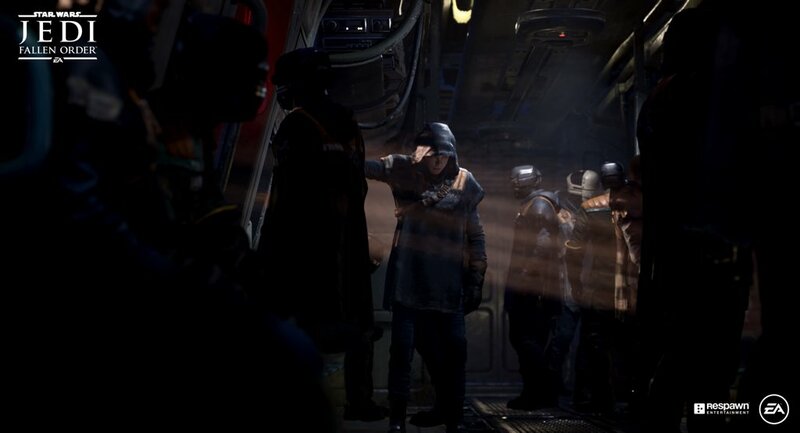 The people hunting him at the Imperial Inquisition and from the images we've seen they look like a type of special unit. The Second Sister was in the comic series Dark Lord of the Sith and a former Jedi who joined the Sith. Purge Troopers were also confirmed and act as execution squads that kill Jedi. They're a bit more powerful than traditional Stormtroopers. Lightsaber combat hasn't been translated well in the recent Battlefront reboot games. However, it seems that Respawn is taking a different approach to combat. Speaking to USA Today Vince Zampella called it "thoughtful combat" which isn't something specific. Our guess is that we'll see something like in Sekiro: Shadows Die Twice. With a blocking and parry system coupled with counterattacks and swift strikes. In addition, Respawn has stated that enemies will approach the player tactically. With Purge Troopers deployed to weaken the player before the Inquisitors show up. The Frostbite Engine has gained a bit of a negative reputation following the Kotaku's articles regarding both Anthem and Mass Effect: Andromeda's development. The Frostbite Engine was created for FPS games and lack a lot of features the Unreal Engine has. 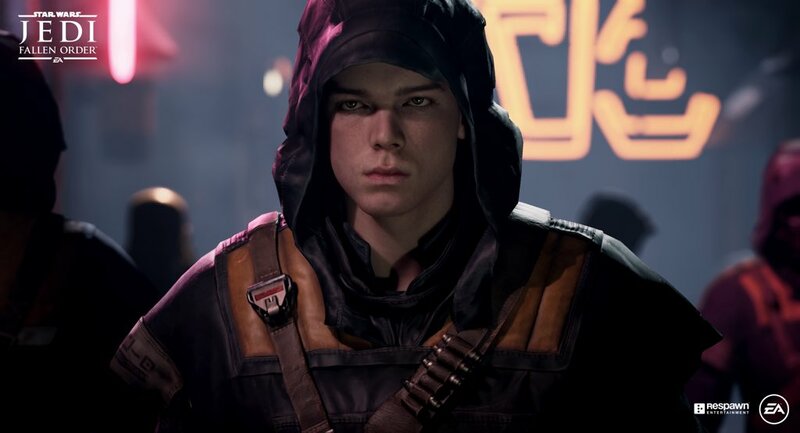 Fortunately, Star Wars Jedi: Fallen Order will be made using the Unreal Engine. 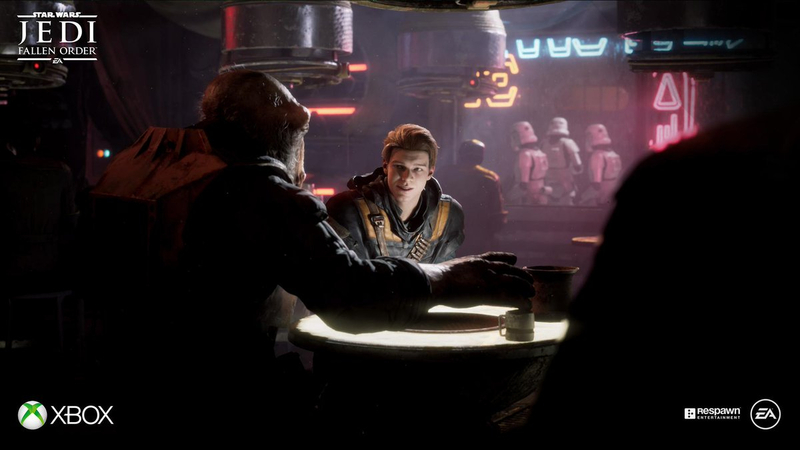 To everyone's surprise, Star Wars Jedi: Fallen Order will be a single-player narrative game. No microtransactions or loot boxes. The only bonuses currently announced are through the game's deluxe edition and pre-order bonuses. But these are strictly cosmetics. EA has an infamous reputation for monetizing everything. We saw this with Need for Speed Payback, Star Wars Battlefront 2, and EA's many sports titles. You probably noticed the tiny Droid next to Cal. Called BD-1 this is Cal's best friend. Seeing that Cal is on the run and noted in the trailer not to trust anyone, it makes sense to have a droid best friend. It was conveyed that BD-1 will not only provide support using its various tools but also serve as Cal's light. Offering the support he'll need to continue forward.